We are pleased to offer you fantastic realistic virtual guitar. The sound of this library is rich and sensual, transparent and incredibly expressive. We have made fantastic realism by using 14 dynamic colors for each note. 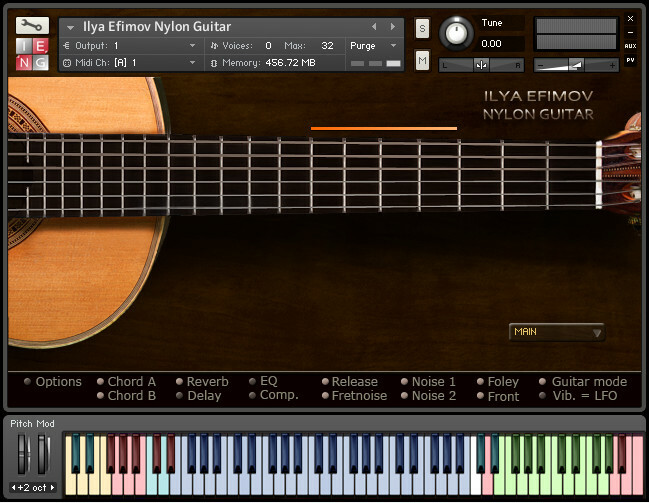 This library is essential for Nylon Guitar imitation. You can use all frets for each string. The select of the strings and positions can be both automatic and manual. The control over any parameter is available though Graphic User Interface and your sequencer.